BC Athletics and RUNVAN®, the non-profit organizers of Western Canada’s largest Marathon, will continue their partnership to host BC Championship races at the BMO Vancouver Marathon in May 2018 and 2019. The BC Championships invite BC’s fastest to compete for extra prize money on race day. Over the past two years, the BMO Vancouver Marathon has successfully hosted the BC Half Marathon Championships on its fast, downhill 21.1KM course. 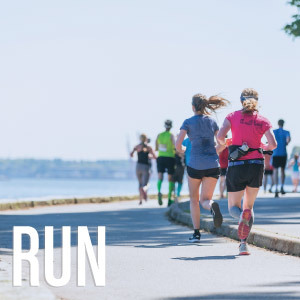 This time, the event will host the BC Championships on its award-winning 42.2KM Marathon course, swapping BC Championship distances with the Victoria Marathon. “As the largest and most competitive Marathon in BC, it provides BC’s best marathoners with an ideal opportunity to qualify to represent BC at the Canadian Marathon Championship,” says Maurice Wilson of BC Athletics. The top three Male and Female BC Athletes in the Marathon will receive extra prize money. In addition, BC Athletics will present Championship Ribbons to the first three male and female finishers in each age category: 18-19, 20-24, 25-29, 30-34, … 100+ – based on chip-time. 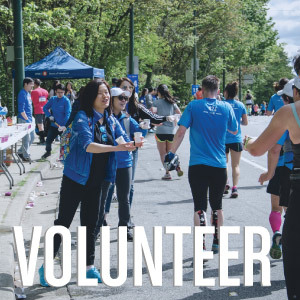 To recognize and support local runners, Elite Athletes will not only compete for BC Championship prizing, but also Elite Prizing Overall, plus bonus cash prizes for Top Canadian Athletes, Top BC Athletes, and Course Records – presented by event organizers, RUNVAN®. “We are very excited to work with BC Athletics to host another BC Championship race and to welcome Elite Athletes onto our Marathon course,” says Eric Chéné, Race Director of RUNVAN®. Elite Athletes will be chasing the Vancouver Marathon course records of 2:18:37 (M) and 2:37:00 (F). Those times are nearly 10 minutes faster than what was posted on the Victoria Marathon this past year, as Bryan Andrews and Sabrina Wilkie ran 2:29 and 2:45 to win the latest BC Marathon Championship. BMO Vancouver Marathon race weekend also features a very fast Half Marathon, 8KM race and Relay. The BMO Vancouver Half Marathon course records stand at 1:02:36 and 1:12:53, while the 8KM race and Relay are more fun in nature. Prizes will still be awarded to top runners in all categories. The Invited Athlete field will be announced in build-up to the event. Last year’s roster included Olympians Evan Dunfee, Natasha Wodak and Dylan Wykes, plus past champions and notable international runners. The Invited Athlete program is headed by Lynn Kanuka, a former Olympian herself.